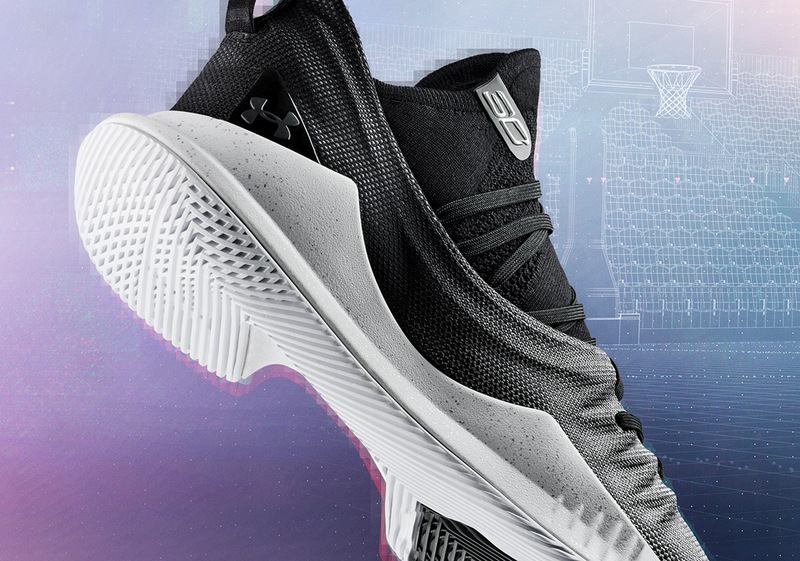 Under Armour and Steph Curry continue growing the baby face assasin’s signature footwear line with a clean and simple take on the UA Curry 5. Curry’s rise to stardom is one of the most unconventional in the league – due to his diminutive stature – and it has led to him being on of the most recognizable brands in the entire league. Now, the Baltimore-based footwear company is ready to pay homage to the contrasting sides of Curry’s game. Playing homage both to his ability to pour it in from range and his efficiency close to the basket, this black and white Curry 5 is easily one of the stateliest iterations the two entities have produces yet. Having broken the mold of what to expect from the NBA’s superstars, this brand new Curry 5 is meant to do the same. Pairs of this brand new UA footwear option will be available from UA.com and other hoops retailers on August 10th with an MSRP of $130 USD.